We started because women saw violence in their community and decided to act. 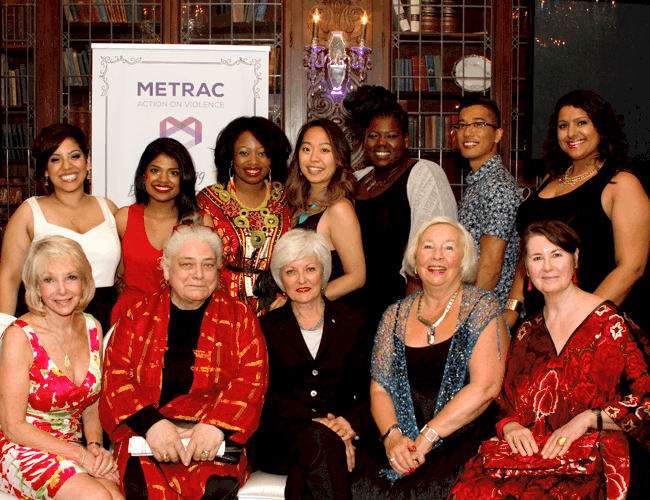 METRAC’s beginnings date back to the summer of 1982 when a number of brutal sexual assaults and murders of women occurred in the City of Toronto. A group of women organized themselves as “The Toronto Pink Ribbon Committee” to demand something be done. The committee approached the Metro Toronto Chair in office, Paul Godfrey. Acting on their suggestions in collaboration with the Metropolitan Toronto Board of Commissioners of Police, a task force on public violence against women and children was established. The task force worked with Metro Toronto staff and council members, more than 80 individual community volunteers, local experts and community and service agencies. A Final Report of their efforts was released in March 1984. It recommended that the Metropolitan Toronto Council appoint a body to implement all recommendations and the “Metropolitan Action Committee on Public Violence Against Women and Children” was established. A ten-member Board of Directors was appointed, headed by Toronto lawyer and then-Police Commissioner Jane Pepino. In 2014, the year of our 30th anniversary, our relaunched logo and name encompass these new realities. We will continue building on a strong past taking action on violence to build a safer, equitable future for everyone.